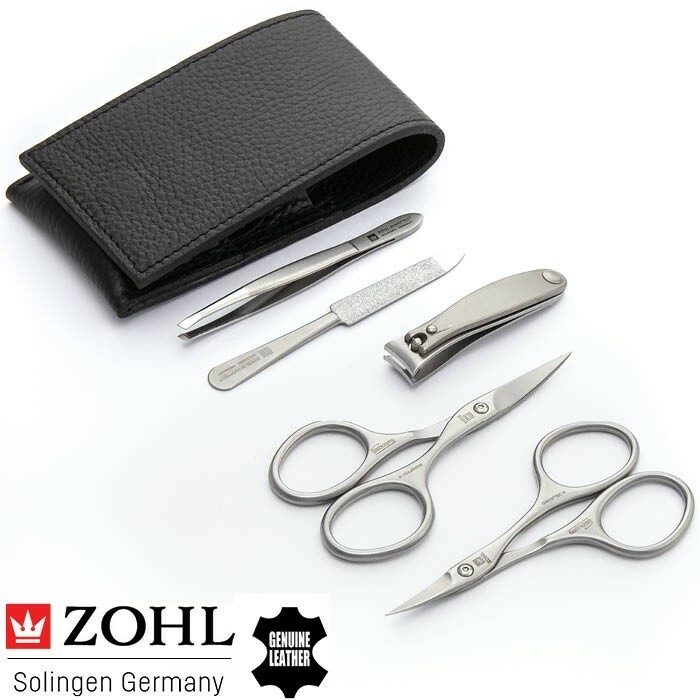 Magneto by ZOHL represents the highest quality manicure set for those who like to create manicured look of their hands with the best German nail tools. 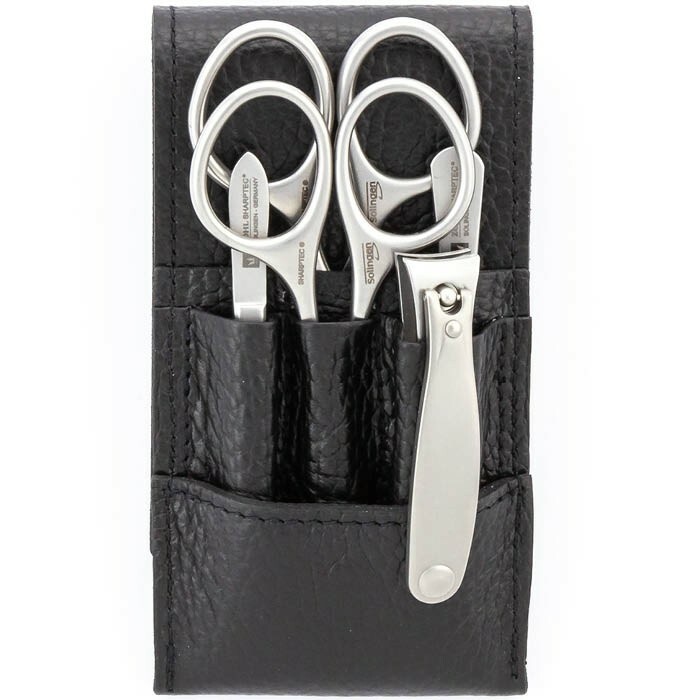 Complete with 2 pairs of surgical stainless steel manicure scissors, Solingen nail clippers, professional nail file and high quality eyebrow tweezers, the set delights with impeccable sharpness and long lasting durability. 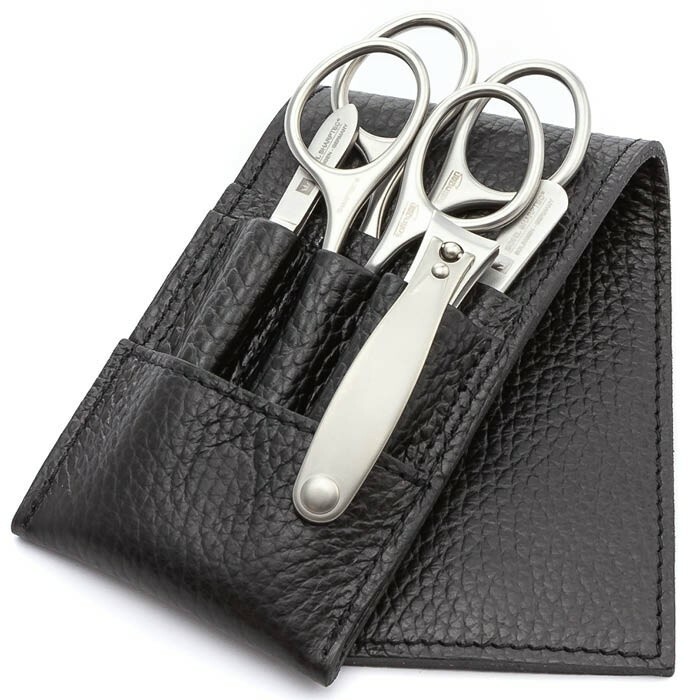 The tools are crafted by hand in Solingen – the German motherland of the world's best nail cutters, podiatry clippers, manicure sets, knives and other cutlery. 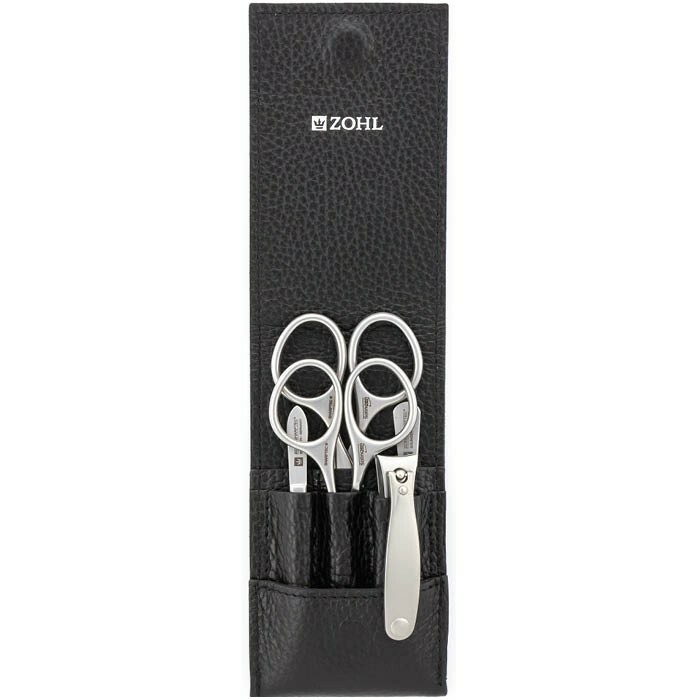 Specially hardened steel retains the cutting edge for many years ahead without any need of re-sharpening. 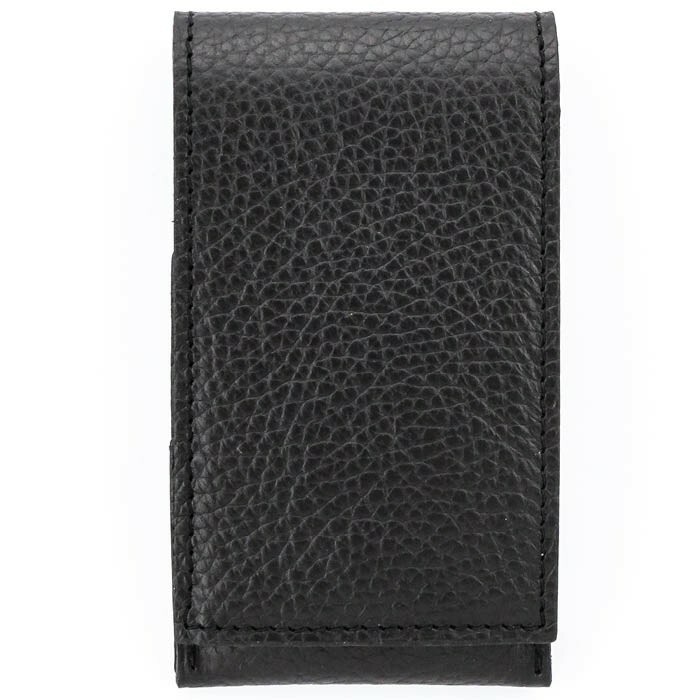 To protect the blades, each instruments sits in an individual pocket of the luxury leather case, lined with premium cowhide. 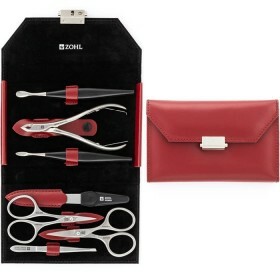 Sturdy magnetic closure makes it a perfect nail set to keep in a bathroom drawer or bring along for a trip as a travel manicure set for nail care on the go. 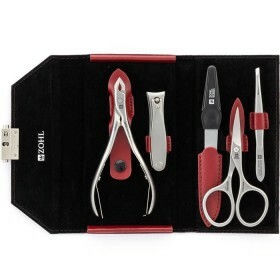 ZOHL collection of the finest German manicure and pedicure sets features the Magneto – the highest quality manicure set to maintain your fingernails in tip top shape. Its SHARPtec instruments are meticulously crafted in Solingen, Germany. Solingen craftsmanship is world renowned for long lasting durability and retention of the cutting edge, therefore it is carefully protected by the German Government. 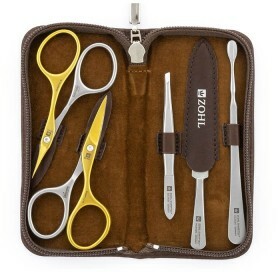 Only a handful of manicure brands are entitled to boast “Qualitat. Made in Solingen”. 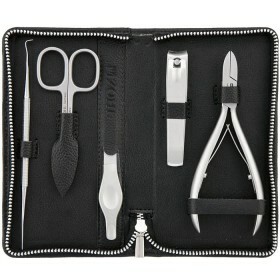 And the luxury manicure set Magneto is proudly one of them. Perfectly sharpened instruments are crafted by hand from surgical stainless steel which keeps the blades sharp for decades. 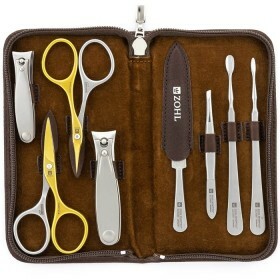 For added benefit, each tool showcases advanced design for the most optimal control and excellent precision able to deliver a clean, smooth cut - time after time. 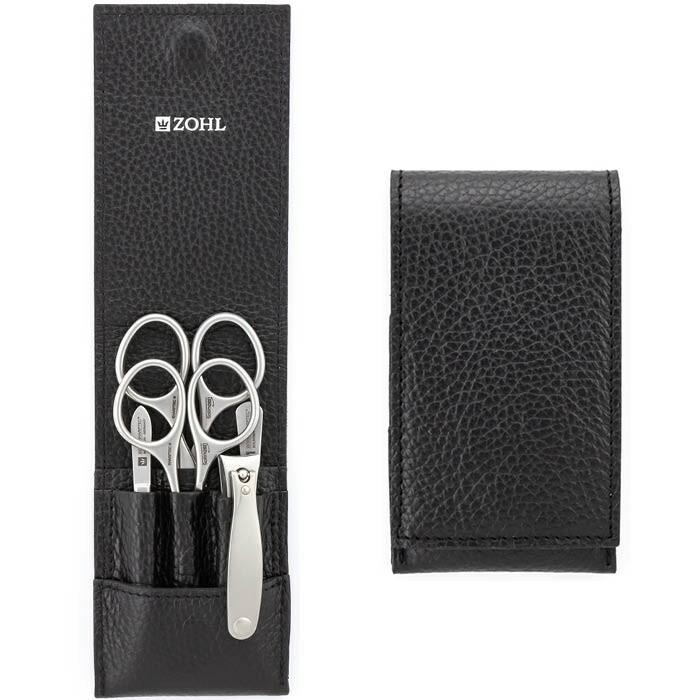 High Quality Eyebrow Tweezers (9 cm) - very popular tweezers in the ZOHL collection thanks to the slant perfect for plucking stubborn, stray or very tiny hairs. 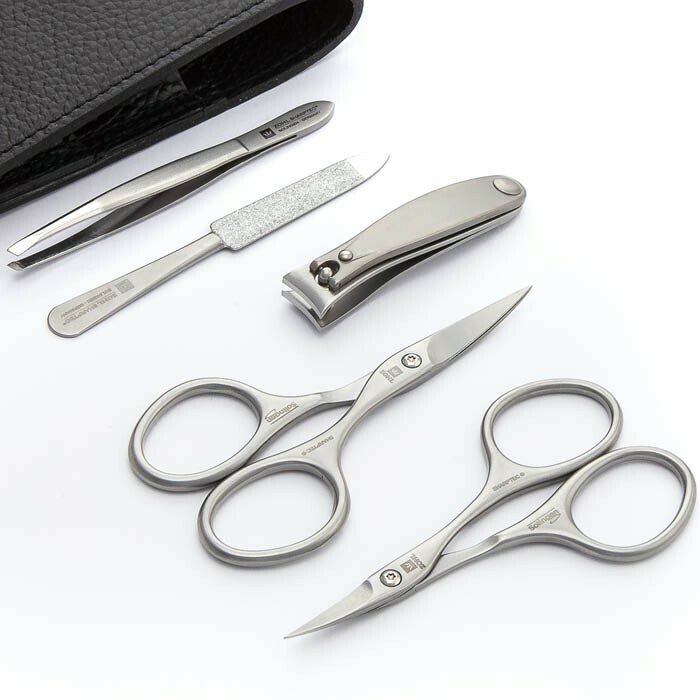 Whether you are looking for the best manicure set to spoil yourself or to gift to someone special, the Magneto has everything for complete fingernail care and will delight with exclusive, hard to find quality of its nail tools for many years ahead.